Digital Snail Mail Redux: Earth Class Mail | OhGizmo! By Evan Ackerman on 09/18/07 • Leave a comment! A while back we wrote about PixelLetter, a service which takes your digital documents and turns them into physical mail and sends them off for you. 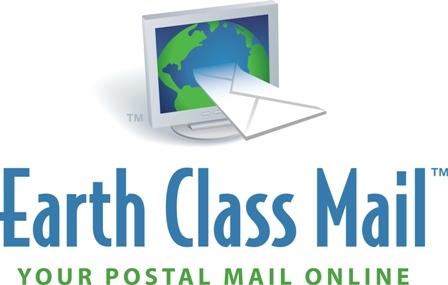 Earth Class Mail is a service that does the same thing, only backwards… They’ll receive all of your physical mail (you can pick a physical mailing address in any of 19 cities), scan each envelope, and then make the scans available for you online. You can chose what to do with each piece of mail, from having them recycle junk mail, to forwarding you more important items, or (most appealing to me) opening your letters and creating PDFs of the contents for you to download from their website. The downside is that you have to wait a bit regardless of what you decide to do with the items Earth Class Mail receives. If you want a scan, it takes a business day, and if you want the physical item, well… Back through the post office it goes. According to Earth Class Mail, however, most people using the service don’t want the mail itself, which I can totally understand, since I’d much rather have a digital copy that I won’t misplace. The company plans to integrate some kind of check depositing service in the near future. And if you’re worried about security, they hire employees with government security clearance (including many retired veterans). In fact, they don’t allow any recording devices into the mail handling area, not even pencils. Monthly pricing plans start at about $15 a month for 30 pieces of mail or less. Forward shipping mail and package handling does cost extra… Check out the pricing plans here.